- Listen intently. Ask questions to help clarify the perceptions. Hold your response until you’ve had time to consider what you’re hearing. - Look for common themes. Common themes in feedback offer a great foundation for what you may want to learn more about, keep doing, or pay more attention to. At the very least—true or false—common themes reflect current perceptions. And perceptions can have a significant impact on the overall health of your organization. - Clarify what may have been misinterpreted. If you feel that you’ve clearly communicated a change or a standard, yet through feedback, you learn that others are not receiving the information as you had hoped, you may want to consider communicating again with added clarity. If you’re attempting to implement a significant change, consider communicating the message more than once, through multiple channels or approaches. - Take feedback seriously, yet avoid taking it personally. If feedback has a negative tone, it’s natural to feel defensive. However, you don’t want to be reactive. Work through it off-line, so that you can approach the feedback with a more objective, bigger picture perspective. - Thank those that are offering the feedback and let them know they’ve been heard. If you’ve settled on any strategies in response to the feedback, and you find it appropriate, share your plans. Remember that candid feedback is a gift, and your ability to listen, consider, and respond—without taking it personally—will increase its value and impact on business. It’s easy to get caught up in the idea that as a manager, you should know how to best leverage your team members’ strengths and develop their skills. But if you haven’t focused on their professional development in a while, you may be at a loss as to where to start. Some people need a great deal of direction and attention, while others prefer to work autonomously once a clear goal is established. Some are more innately equipped, while others need more focused development. It’s the manager’s job to decipher who needs what. A great place to start is to begin presenting the right questions, listening for answers, and using those answers to create customized development plans for each team member. - What one thing might I begin doing, as your manager, to best help you be more successful (or continue to be successful) in this area? - Of the projects you’re working on right now, which do you feel you’re most confident about, and where do you find yourself consistently challenged? Where you’re challenged, how specifically, might I best support you in the short-term? - As your manager, I want to give you the space you need to work independently, yet I want to be available to you when you need it. Can you offer me one or two examples of where I might either be more, or less, involved to best support you? - I want to be sure I’m offering you opportunities to stretch and grow. Do you have any specific interests to contribute, learn about, or get involved in any new areas of the business? 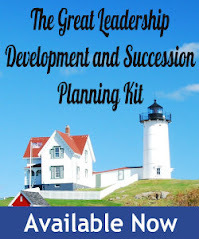 It may seem overwhelming to launch a professional development plan for your employees. Asking the right questions offers a manageable start. Donna Rawady is an Executive Coach and Consultant and has been serving clients independently since 1989. You said "ASKING THE RIGHT QUESTIONS WILL HELP YOU PROFESSIONALLY DEVELOP YOUR TEAM" in your blog. I also know asking a right question is very important for a leader. However, could you provide some examples for this statement? The author of this quest post, Donna, did provide some example questions.